Produced by Williams in 1990, The objective of the game is to serve all customers in a diner. Serving all 5 customers (Haji, Babs, Boris, Pepe, and Buck) lights the "Dine Time" jackpot. It starts at 1 million points, and can be advanced up to 12 million points. 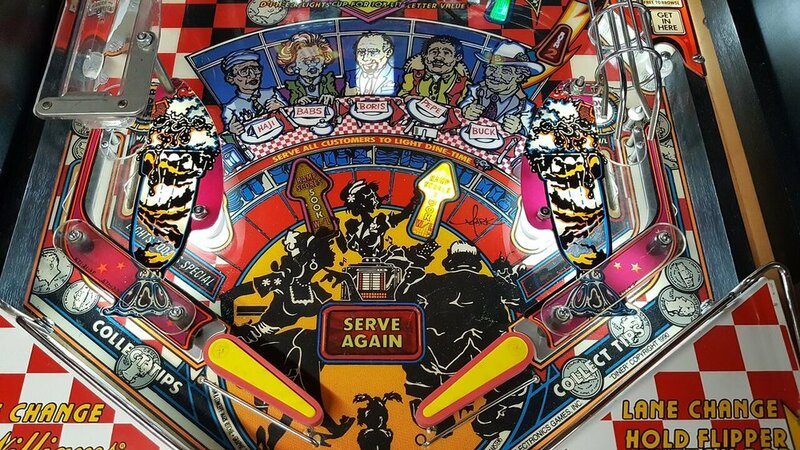 The playfield includes 2 yellow flippers, a plunger, and 2 signature cross ramps, which is common in early 1990s pinball machines designed by Mark Ritchie. Both ramps can be used to obtain many points, as well as unlock extra balls. 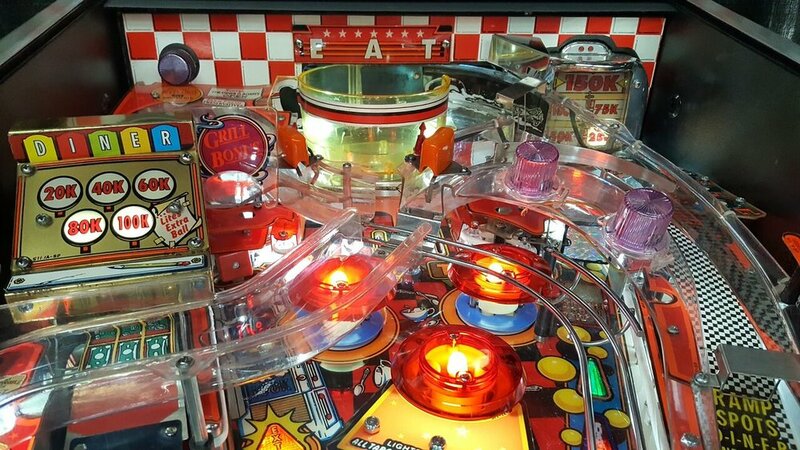 A player can obtain a multi-ball by unlocking the Lock Mode on the cash register ramp, and shooting a target to unlock a second ball.